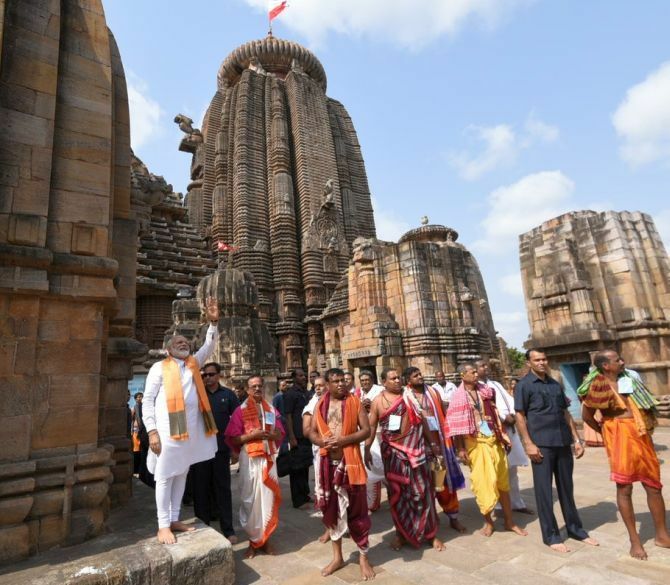 Prime Minister Narendra Modi on Sunday paid obeisance at Lingaraj Temple and responded warmly to the enthusiastic people who greeted him outside the 11th century Shiva shrine. 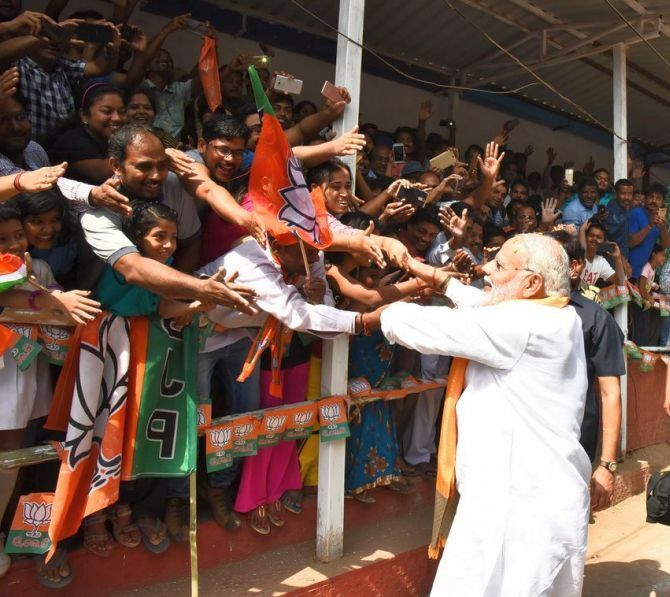 Soon after his arrival at the temple, Modi was greeted by people who had gathered outside the building and also positioned themselves atop rooftops to have a glimpse of the leader. A beaming prime minister waved at them before being escorted into the shrine by senior Bharatiya Janata Party leaders, priests and servitors. 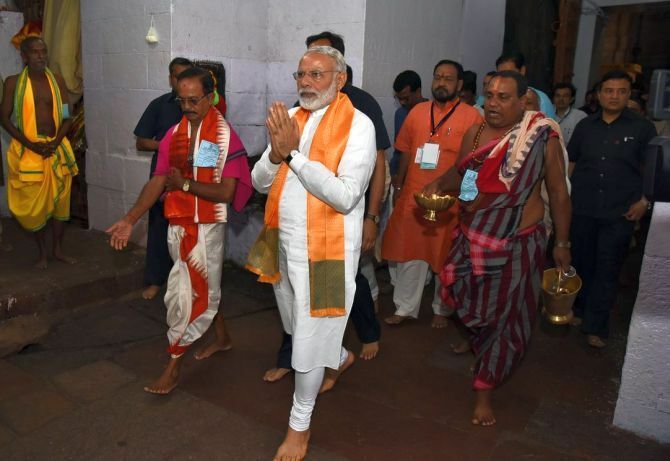 Modi, who spent around 25 minutes at the temple premises amid tight security, offered flowers, bel leaves, milk, coconut water and sweets in a special puja to Lord Lingaraj, a priest who accompanied the prime minister said. 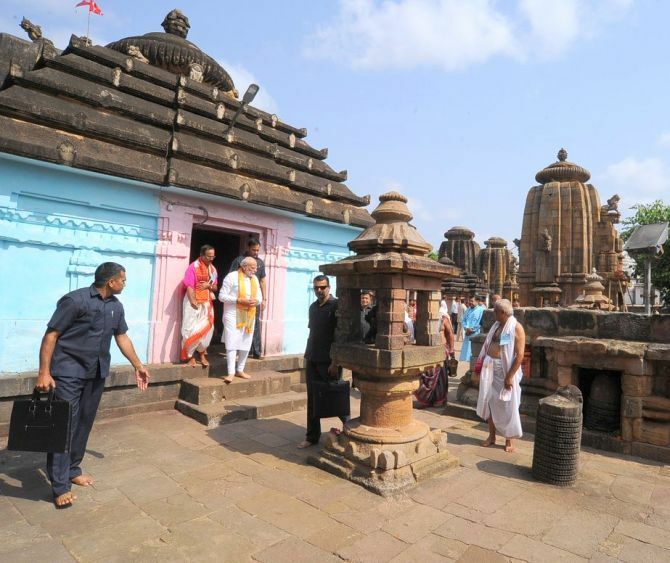 The PM then went around the temple premises and offered prayers before other deities including Devi Parvati, he said. 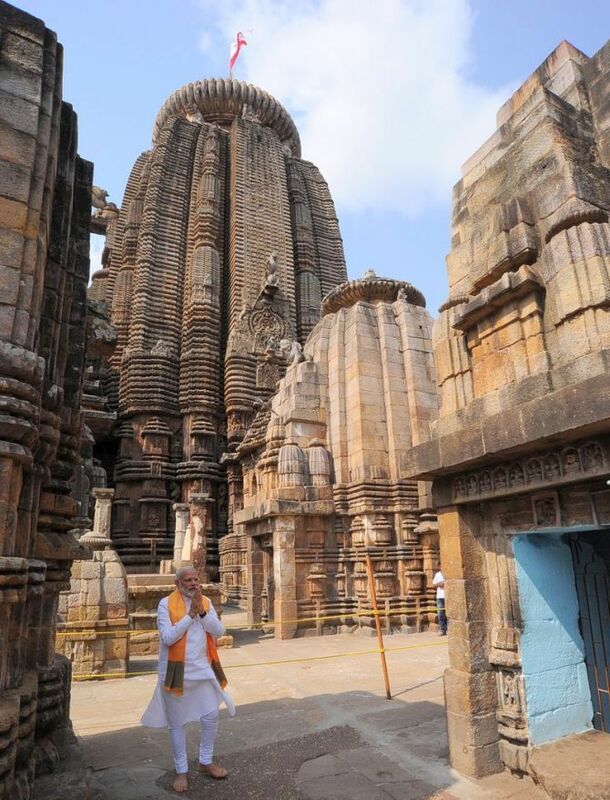 Modi also interacted with sevayats and enquired about different aspects of the famous shrine. He was apprised about the temple’s history, rituals and architecture, a servitor said. 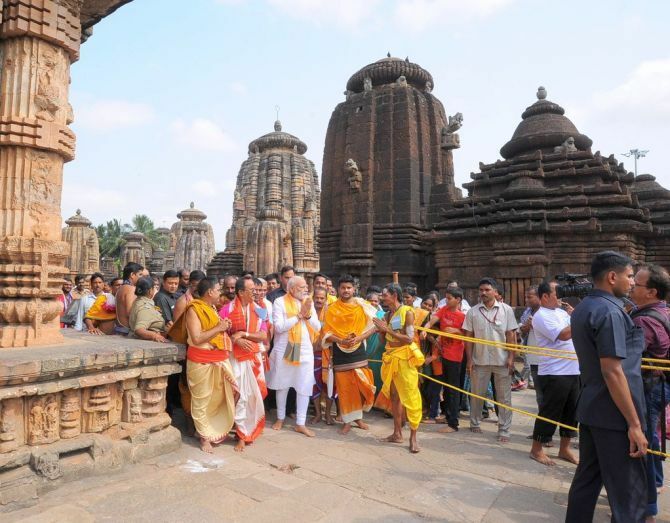 The PM emphasised the need to keep the temple premises clean and ensure “Swachhata” all over. Several servitors were also seen taking selfies with the PM. “It was a rare opportunity and we did not want to miss it,” said a servitor. Before leaving the temple, Modi put his signature on the register meant for VVIP visitors. 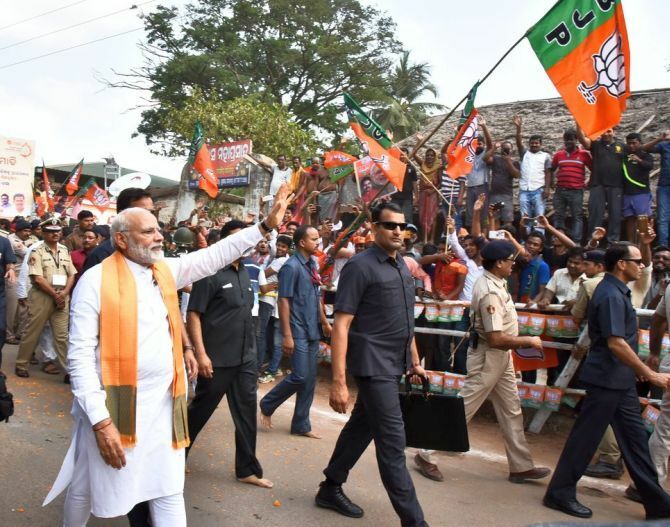 As a cheering crowd waited outside, the PM walked quite a distance barefoot waving at the people, then went up to the barricade to reciprocate as the crowd shouted “Modi, Modi” before proceeding to Janata Maidan, to attend the second day’s proceedings of BJP’s national executive meeting.